Raphael's "School of Athens" is one of my favourite paintings. In it the artist depicts the many philosophers and their thoughts. 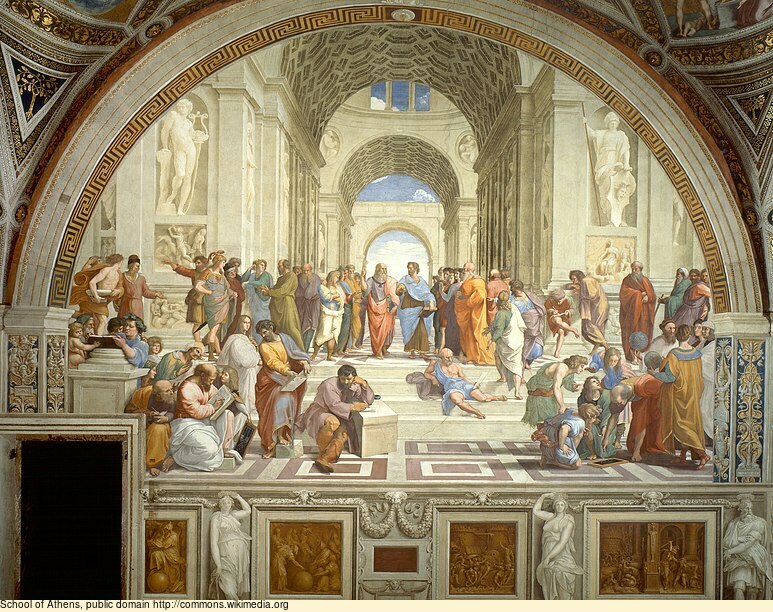 In the middle are Plato and his student Aristotle, each pointing in a different direction. Plato, who was more concerned about the realm of the spirit and the "universals", points up to heaven. Aristotle was more concerned with the specifics, the realm of the body and nature, and points down to the Earth. From the vantage point of the Bible, there is not, and need never be, any controversy, between the two realms; between soul and body, God and Man, creation and nature, eternity and time, beauty and labour. Man is made in God's image, he loves truly, he thinks, he sees and knows and creates beauty. They are real, not the mere result of mechanics and blind chance. The Bible tells us that man is fallen, and that the image is marred, yet love and beauty and communication are still real, still truly knowable, though not fully.